SK Profit | Best simulator-experience in the world. SK Profit Oy is the leading and oldest simulator company in the Finnish and Scandinavian markets. 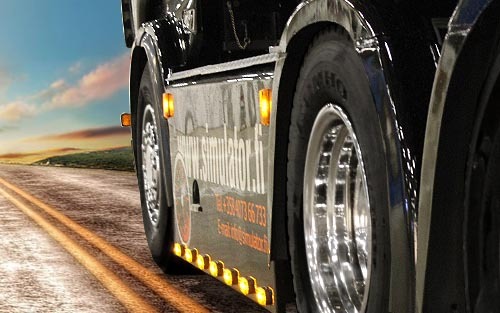 Our working field is Finland, Scandinavia and Europe. We have been working with our simulator through these years on 15 different countries. We work with simulators all around the year. Simulator is suitable and very good extra activity, attraction and alternative to offer your visitors something really moving and unforgettable on different kinds of happenings, for example on exhibitions, markets, sport events, airshow´s, VIP happenings, Company parties, Summer happenings / festivals on RoadShow:s… and where ever! Entertainment which Simulator gives is suitable for all ages, for adults and for children. On our film library there are 20 different kind of film alternatives from which to choose, for example Formula, Rally, Snowmobile, Superbike 750cc, Harrier fighter plane, Roller Coaster, many animations etc. In addition of our own film library You as an client can produce your own film with us, with your own advertising on the beginning and to the end of the film if that is needed! On Our VXL Simulator, contains seats for 18 persons per ride, one ride takes approximately 3 – 4 minutes, depending the ride.